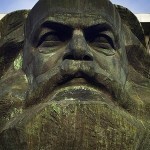 The objective of the following observations is to offer a rough overview of central ways of reading Marx’s theory. These are to be presented – by means of a few selected topics – as Marxisms that can be relatively clearly delimited from one another. During the Tunisian revolution in January 2011, my husband and I finally decided on a name for our second daughter, who was to be born that summer. We named her Amel, which means “hope” in Arabic, as hope is necessary for any revolution to succeed.